As we recently lost the great horror meister, writer/director Wes Craven. I thought I’d take a look at his most (in)famous creation, Freddy Krueger. Fred “Freddy” Krueger was created by Wes Craven for his film, A Nightmare On Elm Street (1984) and was played by Robert Englund. Wes named the character after a kid who used to bully Wes at school (note the lead villain in Wes first film; Last House On The Left is called Krug) and took his iconic look with the hat and dirty sweater from a tramp who used to scare Wes as a child. 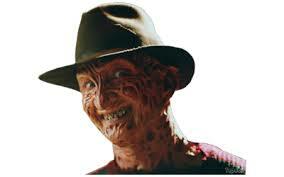 Freddy is often depicted as being horrendously burnt that stalks and kills teenagers in their dreams while they sleep. However, he never started out this way at all. 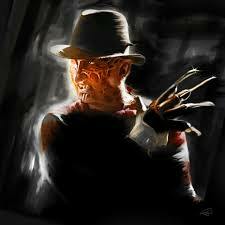 He was once just a “normal” human…I say “normal” as Freddy was a known child molester and killer. He was eventually arrested by the police and made to stand trial for his nefarious crimes. However, due to the police not signing the arrest warrant, he was allowed the leave the court room a legally free man, despite his disgusting crimes. This angered the parents of his victims and they eventually tracked him down to his boiler-room hideaway, where Freddy would take his victims. The parents doused the building with gas and then set it on fire. Freddy trapped inside was burnt alive. Freddy is now technically dead, but his spirit lived on and would haunt and kill the children of Elm Street in their nightmares as an act of vengeance against the parents that killed him. I guess two wrongs do not make a right. Freddy Krueger would appear in the original A Nightmare On Elm Street film from 1984 as well as six official sequels; A Nightmare on Elm Street 2: Freddy’s Revenge (1985), A Nightmare on Elm Street 3: Dream Warriors (1987), A Nightmare on Elm Street 4: The Dream Master (1988), A Nightmare on Elm Street 5: The Dream Child (1989), Freddy’s Dead: The Final Nightmare (1991) as well as the amazing and overlooked meta sequel which saw Wes Craven finally back in control of his monster; Wes Craven’s New Nightmare (1994). Though Freddy was “officially killed off”, he came back and was pitted against another horror icon, Jason Voorhees from the Friday The 13th film franchise in the sequel/spin-off Freddy Vs Jason (2003). The character of Freddy Krueger was very different from most horror icons of the same era such as Jason Voorhees or Michael Myers from Halloween, both of who were silent and didn’t portray much of a personality. 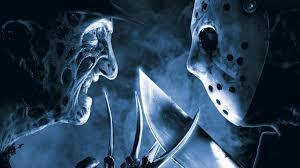 Unlike his rivals, Krueger had personality. He talked, displayed a dark and macabre sense of humour too. In fact, as the sequels progressed, Freddy became less scary and more comedic. Often depicted with his trademark weapon of choice which was his home-made glove with razor sharp knives for finger, along with his dirty brown Fedora hat and red & green sweater. Freddy became a cultural icon over the years. There was a time when you couldn’t move for Freddy Krueger merchandise. Freddy cups, costumes, action figures, posters, bobble-heads, video games, etc. There was even a slight twisted ironic merchandise aimed at children…you know, what with Freddy being a child molester/murderer and all. There have been novelizations of all the movies which were published from 1987 to 2003. Freddy has also appeared in various comic book series over the years including s Freddy vs. Jason vs. Ash: The Nightmare Warriors. But not content with just dominating the world of merchandise, Freddy also turned his hand at music…yes music. 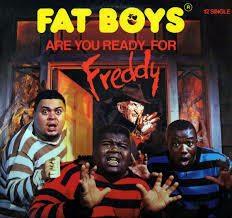 In 1988 Freddy appeared and “rapped” on; Are You Ready for Freddy, a single from The Fat Boys recorded for the A Nightmare on Elm Street 4 soundtrack. As well as making an unofficial appearance in; A Nightmare on My Street by DJ Jazzy Jeff & The Fresh Prince. Even today, Freddy still has cultural impact and is often referenced in other media. Freddy has appeared in and episode of South Park, The Simpsons. He has been parodied in Robot Chicken, Rick and Morty and countless others. 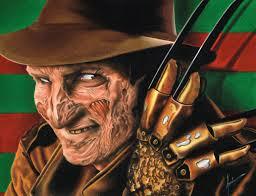 Freddy’s iconic glove has also appeared in the films; Bride of Chucky, Jason Goes To Hell and Evil Dead II. What makes the character of Freddy interesting is the fact he has been played by the same actor in all of the official films. From the very first A Nightmare On Elm Street right up to Freddy Vs Jason, Freddy has always been played by Robert Englund. This adds a lot of consistency in the overall performance and even a bit of irony in that even though the character has arguably changed (for the worst) over the series, its always been the same actor playing him. 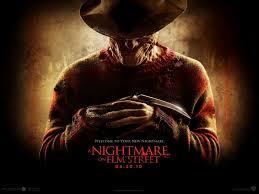 The A Nightmare On Elm Street remake from 2010 where Freddy was played by Jackie Earle Haley. This depiction of Freddy also appeared in the game Mortal Kombat. Plus a new reboot has recently been announced. Freddy Krueger’s popularity shows no sigh of slowing down, even after 30 years since the original film, he still keeps popping up and being referenced. Wes Craven certainly created a monster, both figuratively as well as literally. This entry was posted in LBoM: Characters and tagged A Nightmare on Elm Street, Elm Street, Freddy Krueger, Freddy Vs Jason, Jason Voorhees, Krueger, LBoM: Characters, little bits of movies, Nightmare On Elm Street, Robert Englund, Wes Craven on 04/09/2015 by Steve Perrin.